I have had migraines since I was about 16, although they were not diagnosed as migraines until I was in my 30’s. My husband died when I was 40. I remarried 2 years ago. The headaches have been manageable , 2-3 a year, that I can handle. Until March of last year when I started with a severe migraine, which turned into a daily headache. I have seen my PCP as well as 2 different neurologists, been put on numerous medications with no relief. I have had a CT scan and an MRI of the brain which showed nothing, thank goodness. But I have been suffering with the headaches on a daily basis for well over a year and no one can figure out what to do. I really think people are just tired of listening to me and just blow me off. My husband is as supportive as he can be but with him starting chemo next week I really am not sure how I will handle all of this. I work full time and have to to pay the bills and especially now as we aren’t sure if my husband will be able to work once he starts the chemo treatments. We live paycheck to paycheck and I have to work to keep my insurance. Also if I have to hear one more person tell me it’s stress that is causing these I will scream. I know we have a lot of stress right now and my job is also stressful, and paying the bills is very stressful just trying to rob peter to pay paul, but I keep on going even though most of the time my head feels like it wants to explode. I am 47 and feel 90 sometimes because I am so tired of all this and no one seems to care. That’s because I have always been the strong one. I am always there for everyone and i don’t think anyone realizes that I get tired too. My daughters are terrific but I think they are just over listening to me because my head hurts. I am always the first one everyone comes to for help or when they need anything but no one is there for me when I need help. I start watching my oldest grandson this week too as my daughter and son-in-law are both working 2 jobs and daycare is only during the day so a couple nights a week I will be watching him. He is 2 1/2 and the light of my life but I think sometimes my children forget that i am twice their age and work full-time, and have a sick husband , and then to top if off the migraines just compound my life. I have researched a migraine specialist but the closest one to me is almost 4 hours away and they do not take my insurance so that option is not feasible. If I could find one doctor that would just listen to me and offer me some sort of solution and not just keep pushing meds on me. I have tried acupuncture which does help but is not covered by my insurance, herbal supplements, meditation, with no relief. Even the last round of steroids didn’t help. I have not found a trigger yet, although I keep trying. OMGosh, Janice, as I read this I began to wonder if you were in my mind. 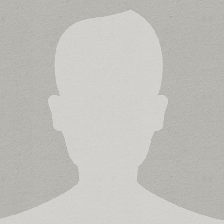 I too am the one people always turn to yet there is no one for me to turn to. Well, except my therapist. I’ve been suffering migraines since I was about 8 years old. I’m now 33. My 12 year old daughter started getting them (sporadically) around the age of 7. It’s just her and me. I battle so many health issues on top of the migraines; fibromyalgia, degenerative discs & arthritis in my lumbar spine, patellafemoral syndrome….my list is long. I’m a momma’s girl. My mom just finished chemo; breast cancer. Next up: surgery. It’s difficult to stay strong some days. And yes, the stress of everything adds to the migraines. I know a couple of my triggers; not eating, caffeine withdrawal. But sometimes they hit me out of no where! Like you, I’ve had the tests, I’ve tried their meds. But answers, that’s what we need. I am so sorry for your misery. I have suffered with migraines since I was ten, but have recently stumbled upon a treatment that has given me much relief. I was evaluated by a neuro-muscular dentist who is treating my TMJD with an oral orthotic. Wearing it has made my almost-daily migraine attacks stop. No drugs. It cost a lot and most was not covered by my insurance, but the relief I have gotten is incredible. I am not saying I think this is the answer for everyone, but it might be worth looking into. (Not a regular dentist, but a neuro-muscular one. Very important.) Best wishes. Janice, I did not have time to read through all the comments, so I don’t know if your questions or concerns have been answered yet. I also started having daily migraines at the age of 48. Fortunately, I worked for a physician who knew about migraine. Since I was apparently peri-menopausal, this turned out to be the cause of the the dail episodes. It is not necessarily the loss of estrogen, but the broad flucuations in production of estrogen that can cause this. The up and down swings that peri-menopause can bring. It is very common in women who are peri-menopausal and have had previous migraine disease. When the bottom drops out of estrogen levels, it can trigger a constant migraine. I do not understand why so many physicians do not know this! But it is very frustrating! I certainly don’t have all the answers as well, but I do know what my story is and was! I recommend you seeing a neurologist who is very knowledgeable about migraine; not all of them are. You don’t need JUST pain management. There are many medications available today that can ease you through until menopause, when things should tone down a bit. I did go on a preventative medication for 5 years (Topamax) which did bring me relief for a few years. There are side effects to this medication though, but it did save my life for a time and the side effects were worth it in the beginning. I also want to recommend a book that also ‘saved my life’! You can read the reviews and see that it has helped many other people as well. The book taught me so much about the suffering I had been through for years; I literally thought I was reading a blueprint for my life! I had no idea all the symptoms I had been having for years was from migraine! The book is called Heal Your Headache by David Buchholz, MD and you can find it on Amazon if the link does not work. This book has literally revolutionized my life! By following the advise in this book and understanding ALL of my migraine triggers, I can now control my life!! I do still get migraines of course, but nothing like before. I can control most triggers in my life (except the weather) and I am a new person, literally, because of this book! I hope this helps you and anyone else who is able to read this! Thank you all for letting me vent…sometimes it helps knowing there are other people like me. I know my bosses, co-workers and my family are tired of listening to me , but I can’t help what I have and no one has any answers. I have tried acupuncture which did help somewhat but it is costly and unfortunately not in my budget.I was seeing a neuro that was also supposed to be a pain management physician but after seeing him 2 times I found out he was not accepting any more new pain management patients. So I have to start over with a pain management physician that will take my insurance. Frustrating……and I am 48 and feel 90 some days….today I have a killer headache but I am babysitting my 2 1/2 year old grandson because both his parents have to work , I love him dearly and I will get by as I always do. I literally feel your pain. And I realize there have been a lot of comments already, but has someone suggested the weather as a possible factor? I know for me that has been the worst – temperature changes and barometric pressure I can immediately tell you when we have a high pressure here. There are many that don’t understand and unfortunately that includes those closest to us. I’ve often looked for an outlet too. So please feel free to vent or chat here, you are being listened to, even if you don’t get it at home. Think happy thoughts of your grandson, I know its what keeps my mother going on bad days; as my son does for me. Hang in there. There are plenty of us out here that understand..so if all u can do for now is vent, then let it out. As busy as u r right now, i think keeping a headache journal will help you alot. You should track your daily environment, your food intake, your menstral cycle, your headaches and their pain level. You may find more help from keeping a journal than you could imagine. Also keep looking for all the info you can about migraines, there is a lot of help out there. Having migraines for 30 years myself, i thought it was just time to give up hope. The light at the end of my tunnel was a book by carolyn bernstein, MD called the migraine brain. It has all the info you need to get yourself better. It has completely changed my life. I have stopped suffering with migraines and now i live with minimum headaches, in which a couple alieve take care of. I actually have a life now, but i would have never been able to dream it to be as awesome as it is. I hope you can find some help and relief. You definitely deserve it. Good luck. Hi Janice, As many of the people that posted here, I can relate to what you are saying. I recommend you take a look at http://www.fightingmigraines.com and judge the information there for yourself. Best of luck to you. I’ve been in your shoes with my Migraine disease & know your frustration & feeling of aloneness. Botox via a specially trained Migraine specialist has made the difference in my being able to control my Migraines better with my prophylactic meds, triptans, & keeping me out of ER for the past 1.5 yrs! ツ So happy insurance pays since FDA approved Botox for tx for Chronic Daily Migraines. Have you discussed this? It would be worth it to maybe discuss a referral to at least throw that out… if ito works, usually lasts 3 mos. Good Luck & Hugs ♡. I totally feel the same way. I get tired of hearing myself talk about my migraines, but it’s real and they are there. I have had them every day for almost 3 years. I tried every thing possible- traditional medicine and alternative medicine.Nothing worked until I found Botox. It’s expensive but worth it. I now can work full time ( mostly) and I have my life back. My Neurologist does the injections every 3 months and I can’t beleive how much it helps.I hope you find something that helps you. Never give up! You are not alone, my occasional migraine has also become a non-stop continuous condition that makes me feel 95 years old. I find it almost impossible to work and the simplest daily tasks are monumental challenges. You might try a migraine journal. Chart everything you do and eat. Also watch hormonal cycle. Many triggers are foods, light, smells, sounds, weather, allergies and hormons. I learneda lot by keeping a 30 day journal. We are here to support you. I too am a 47 year old female who suffers with daily migraines. There is always hope! Please feel free to vent, as many of us share your pain. I to become frustrated with pain. Its like sick of being sick! However, when this happens, I just take time out to relax and focus on “ME”. I know this may seem hard because of all the other things that are happening in our lives, but remember we are no good to others if we are no use to ourselves! Stay strong and take of YOURSELF first! This could have been written by me, same age, (minus the stress of a sick husband) but I also have the stress of a boss who has not clue, and is getting tired of it, (as if I am not). Hang in there! I am sorry about your husband and your pain 🙁 Just a suggestion has any of your doctors recommended pain management? I have chronic daily headaches too, my life got so much better when my neurologist said he couldn’t help me and the only thing left was pain management. I have learned that even though I don’t like pain meds, they are sometimes very helpful in dealing with the pain. I also understand people not listening any more 🙂 it’s like since it’s been happening to us for so long we should have gotten over it by now. I have two very very good friends who are like my sisters and every time they need someone to vent to I am always around, but they always have to much happening in their own lives when I need them. I just have to remind myself that bc of the pain I understand how hard life can truly be and I am there for them bc I understand loneliness at a level no one else can. I hope you have many pain free days to come! I literally feel your pain.. and I am so sorry. 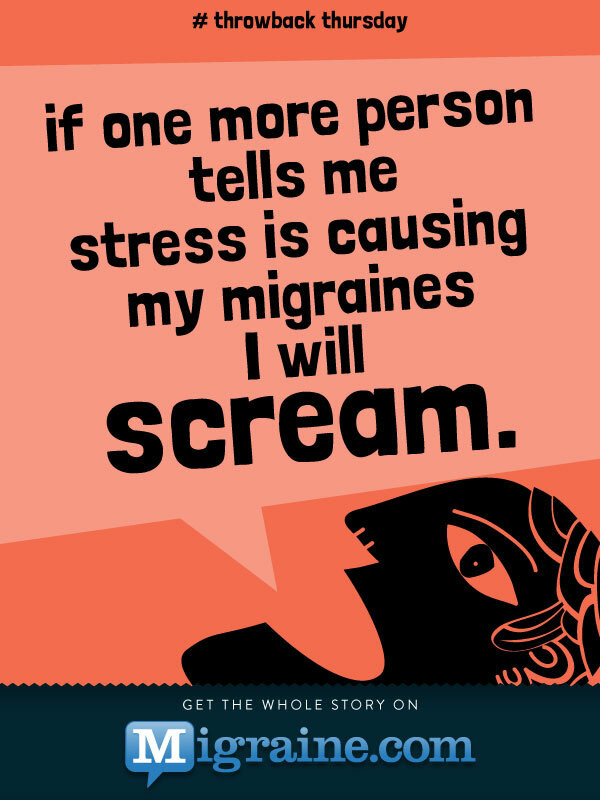 It is one of the most frustrating things when you are a chronic migraine sufferer. I have had them since about the age of 2 and basically have a headache everyday. it has affected every aspect of my life, so I understand the feeling like your 90… I am so tired all the time. its good to vent to those of us here that can relate.. sometimes that’s the best medicine… just talking to people who can understand what you go through on a daily basis. I am trying to get on a clinical trial right now for PFO, that is somethng that Ive been investigating. You may want to look into that. good luck and try to just take one day at at a time. I know how awful it is to have no support. I feel for you. I understand how you feel, you are under a lot of pressure, try taking up some form of exercise or meditation for at least 1/2 hr daily, I find it helps reduce the frequency of attacks – I pray that you stay strong during your husbands treatment & things keep flowing along for you both. I biggest triggers are lighting, weather changes, blood sugar, and allergies. Hey Janice have you ever checked out a Chiropractic? I go to one. He helps me so much. This week his topic is Holistic Methods Can Help Migraine Headaches. Here is the site to go to http://www.UPChiro.com. I can tell you he has helped so much with my headaches. It took a couple of months to get to filling good. But I only have headaches one in awhile. He is a miracle to me. Oh Janice, hang in there. I can empathize totally with you. The depression and frustration is sometimes the worst part. I am 45 yrs old, with a 2 yr old and a 12 yr old, suffering also since I was 16 yrs old, facing pay cuts, health benefit cuts, living day to day and yes the stress does make it worse, but you can’t just stop living right? So post away, and please remember there are others out there who feel for you, and dream the dream that one day this too shall pass. I’m so sorry you have such pain I do know your pain. I suffer as well. My biggest trigger are onions…who knew it. I pray you get help and find peace within yourself during your headaches. When I was having them for days in a row, my doctor recommended going for a massage. I did it. I told the girl my issue, and she focused on my neck and head for the massage. Now, whenever I have one that prescription meds and rest will not get rid of, I know I have to call her and get in. She works wonders! Good luck to you.